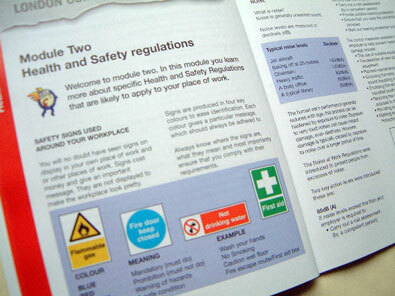 The Certificate in Health and Safety Distance Learning course is a 48 page, full colour training pack, written in a user friendly plain English format to prepare candidates for a Health & Safety examination. The course includes information on legislation and enforcement, safety signs, noise, electricity, COSHH, first aid, causes of accidents, hazards in the workplace, fire, risk assessments and safe systems of work and much more. No previous knowledge of Health & Safety is required. 5 key Health & Safety topics are covered: Health & Safety Law and Enforcement, Health & Safety Regulations, Accidents and Incidents, Fire, Proactive Health & Safety. Tutor support provided if required. Ideal method of training if staff cannot be released from work. Course material is suitable for any industry. Course includes exercises to test candidates knowledge. 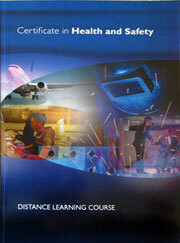 Includes a training record to confirm all course chapters have been completed. Includes Health & Safety examination. A cost effective method of training.